There’s one thing common in all the Apple products — they’re all expensive. It holds true for pretty much everything Apple has ever released. Whether the extra money you pay is worth it, however, is a different question. There’s a reason I started the post with this point. 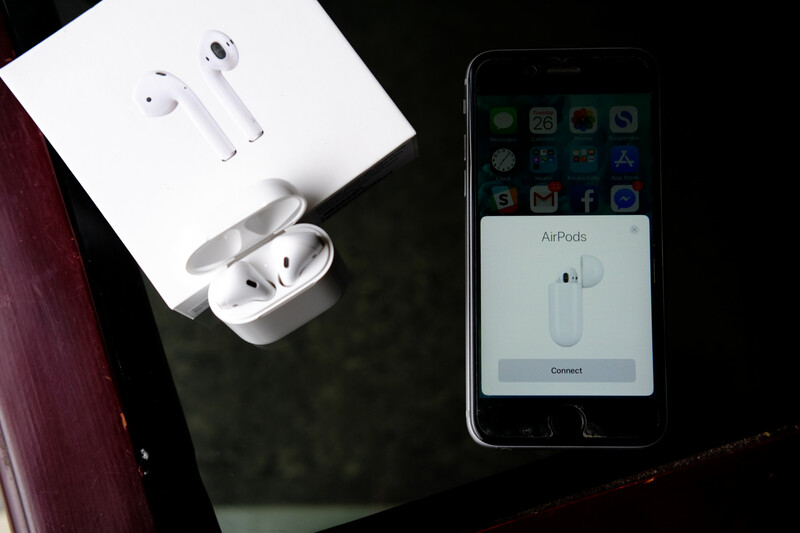 Today’s topic of the post is Apple AirPods — the first-ever wireless earbuds that the Cupertino giant has released. As soon as it was announced, people flocked to the comment section of YouTube and news sites to express how crazy expensive it was. I didn’t join them, but in secret, I had agreed with them. The high price that Apple sought for the wireless earbuds was just outrageous. Over a year later, my pocket proudly holds a pair of Apple AirPods in the charging case that they came with. I’m not enough of an audiophile to keep listening to music all day, but my small selection of Spotify playlists now play through Apple’s AirPods more often than anything else. So, what made me purchase the AirPods? And I do regret the money I paid to buy it? If you ever visit my room, you would see how messy it is. Wires of various types are the main culprit behind 90% of the mess in my room. As a result, I’ve come to hate wires. I have multiple charging cables for multiple devices always hooked up to a USB power hub. Then there are the cables that are connected to my gaming PC along with extra extension cables, micro-USB cables, magnetic charging cables, Apple Watch charging cable, several lightning cables, USB-C cable for charging my OnePlus 5 and so on. As you can guess, my trusty headphone always gets lost in my table. I spend a good chunk of my time clearing up the cable clutter from my desk. And I’m tired of it. So, when I came across the AirPods on display at an airport, I couldn’t resist my impulse to give the wireless headphones a go. I used a cheap Chinese wireless headphone before. The only reason I gave up on it is the fact that it was yet another device that I had to charge on a regular basis. I have enough devices that need everyday charging as it is, and I didn’t want to add any more. If you ask any Apple user, you’ll get the same answer that it’s the experience that makes Apple’s hefty price worth the money. The same goes for Apple AirPods. It’s not just the ‘brand name’ that you pay for when you shell out the money for Apple AirPods. It’s not even just the sound quality that you’re paying for. What you’re truly paying for, in addition to all of the above, is the experience. It’s the convenience of having an Apple AirPods that makes the high price worth it. What kind of convenience, you ask? That’s what today’s post is all about. If you want to know the technical details about the AirPods, there are tons of reviews out there. But in this review, I wanted to focus on the experience side of things that justify the purchase of AirPods for me. Pairing a smartphone with a Bluetooth device has always been a lengthy process. Well, it feels lengthy once you have used AirPods and paired it with your iPhone or iPad. Apple makes pairing AirPods with iOS devices such a pleasant experience that it will surely put a smile on your face. Pretty much like how NFC devices work, all you need to pair AirPods with your iPhone is open up the charging case while the iPhone is unlocked, and you’ll get a prompt to pair the AirPods with your iPhone. Tap on the screen to pair, and that’s it. I haven’t tested it how it would work if there were multiple iOS devices in the room owned by different people, but I assume that won’t go as flawlessly. However, if you pair the two closely, there’s a good chance that your phone will pick it up first. This is another aspect of using AirPods that made me love it. If you have multiple Apple devices like I do, you don’t have to pair AirPods with the rest of them after you’ve paired it once. Given that you’re logged into your Apple ID on all other devices, you can send audio to AirPods from any Apple device that you want. I paired it with my iPhone and did not need to do any pairing to listen to music on my iPad or MacBook Pro. I used AirPods with my Mac a couple of times, and I’ve been surprised by how great it works with the computer. I was on a meeting with the built-in speaker and mic, and as soon as I chose AirPods from the sound icon on the menu bar, the audio was sent to the AirPods. That’s all neat and expected, but what really surprised me is that as soon as I put the AirPods back, the sound automatically switched to the built-in speaker. Just to see what happens, I put the AirPods back in my ear, and the sound switched to the AirPods again. It really was a neat thing to experience! You probably already know this, but just for the sake of completeness, I’m going to talk about some of the built-in sensors. Of course, Apple’s W1 chip is responsible for some of the magic that AirPods offer including the painless pairing process that I talked about. Other than that, there are some cool controls built right into the AirPods. Both of the earbuds recognize double-taps on them. And you can set what happens when you double-tap on one of the earbuds. The way I’ve set it up makes double-tapping on the right earbud go to the next track while double-tapping on the left earbud navigates to the previous track. You can switch the double-tap behavior on any of the earbuds. It allows Play/Pause, Next Track, Previous Track, and Siri. You can also turn it off if you want. It’s yet another cool feature that I’ve come to love. AirPods know when they are in the ear and when they are not. There’s a sensor — which can be fooled by putting fingers on the top part of the earbud — that determines whether it’s in the ear or not. When playing music, if you take one of the earbuds out, it pauses the music. When you put it back on, the music resumes. That doesn’t prevent you from listening using one earbud, though. You just have to tap play on the phone — or on the paired Apple Watch if you have one — and that will resume playing music on the earbud that’s on your ear. Handy if you want to charge one of them while listening on the other. As said above, I’m not an expert on sound quality, but I don’t think I’ve used anything better. If you’re an audiophile and want to know technical tidbits about the sound quality of Apple AirPods, please Google and you’ll find tons of reviews out there. For me, I’m personally more than satisfied with the quality of the sound that AirPods produce, and I’m happy in this regard without any doubt. Apple AirPod’s built-in microphone is also intelligent enough to recognize when you’re talking. The W1 chip that’s pretty much at the core of the Apple AirPods manages the change between listening to music and taking a call. It’s a small detail, but one that’s significant. With a fully charged AirPods and case, you can last almost a full day of listening to music. And it’s even easier to check how much battery is remaining on individual earbuds as well as the charging case. Just put your iOS device nearby and open the charging case. A pop-up will show the battery status. Screenshot taken on the iPhone. 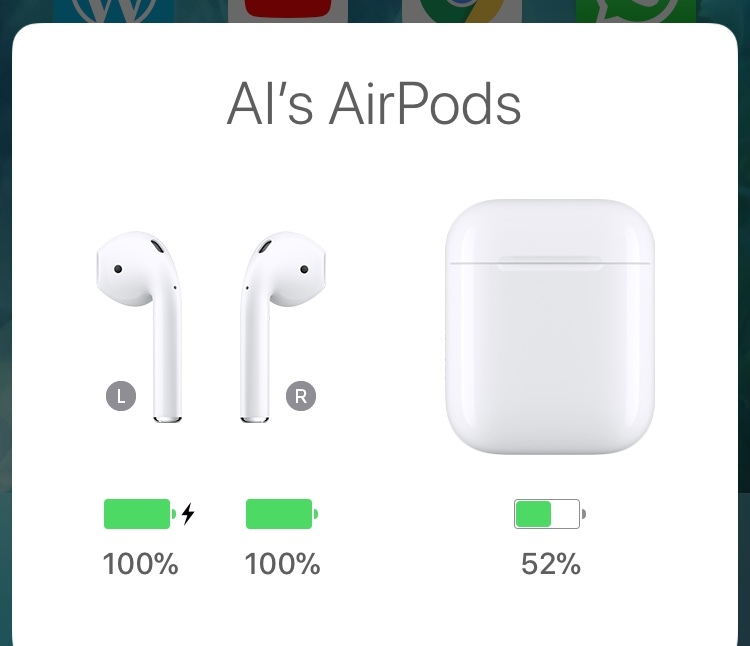 If you want to know the individual battery status of the AirPods, just take them out of the charging case, and the pop-up will update showing you the status of all three devices. I have the original AirPods charging case that does not support Qi wireless charging. That’s a bummer, for sure. Reportedly, Apple would release the Qi-compatible AirPods charging case later this year. If you can get your hands on that, that would make AirPods completely wireless. For now, I’m not really unhappy with my AirPods as it is. The case can be charged through my iPhone charger. And I don’t listen to music all day, so I don’t have to charge it up daily. In fact, I don’t think I charge it more than once a week. You can see how awesome it is to be able to put the AirPods on and start listening to music. Play/pause or go to the next track just by double-tapping. With an Apple Watch, I can also control the volume on the AirPods. 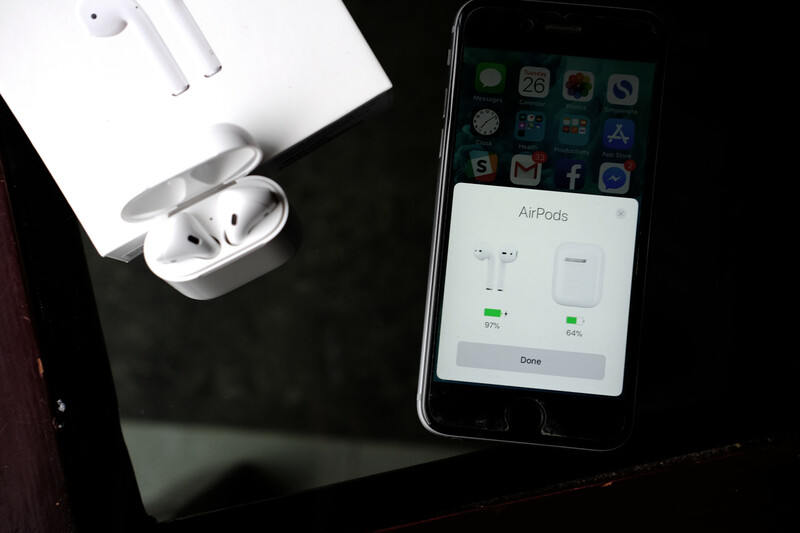 The smooth transition between all iPhone, iPad, and Mac with the AirPods makes using the device even more fun and hassle-free. For a guy like me who’s had enough with wires cluttering up my room, AirPods are just the perfect addition to my everyday life. Its high price cannot be understated, but for me, the convenience that it offers makes up for the extra money I had to shell out to own it. Do you have Apple AirPods? Are you thinking of getting one? 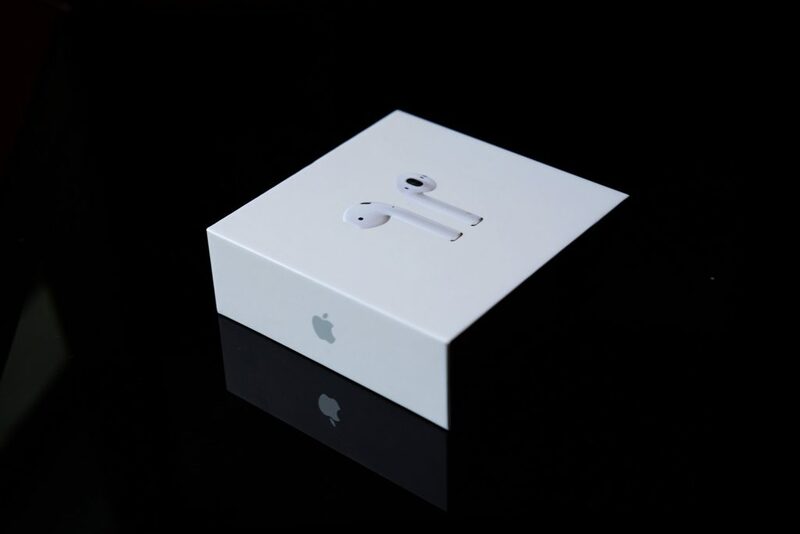 Share your experience or questions in the comments and let me know your thoughts on the Apple AirPods. Not sure about the iPhone X, but you can’t go wrong with the AirPods (given that you also have an iPhone).